With more than 1000+ Shopify Apps, there are some Top Shopify Apps which is very necessary to increase your conversion rate. 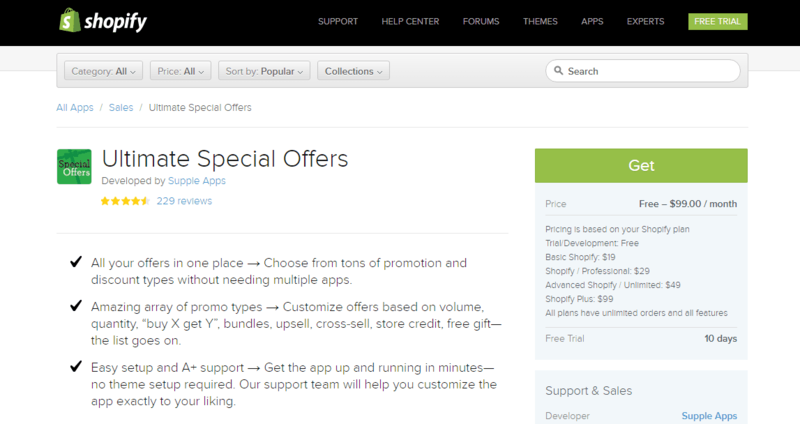 The below article lists the 10 Top Shopify Apps with a solid reason Why should you have them. Come, Let us see! 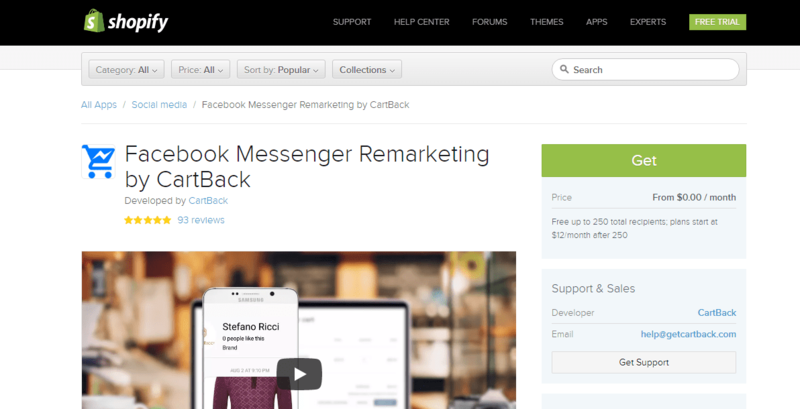 This app tops the first position because it massively increases your conversion rate by recovering your abandoned cart with coolest offers with a coupon code. Let’s see how this app works and why should you have them. I will also give a pro-tip to increase your CTR of ATC Button thereby you get more leads in your funnel. After you install this app, there will be a checkbox called “Send to Messenger” on your every product page. If your visitor is logged into Facebook when visiting your store, his name will be pre-populated. When the visitor clicks Add to Cart Button he will opt to your store updates. He is in your funnel now. This App will send 3 custom message with discount coupons for opted users at an interval. This increases the recovery of your abandoned cart from your store. You can message them privately with a customized coupon or send a special discount link but don’t spam them with messages. PRO TIP: Write a text or design a beautiful banner having "Click Add to Cart for Secret Discount" or "Click Add to Cart to Win This Product". This gradually increases the CTR of ATC and thereby getting more leads in your funnel. A custom coupon works well here. 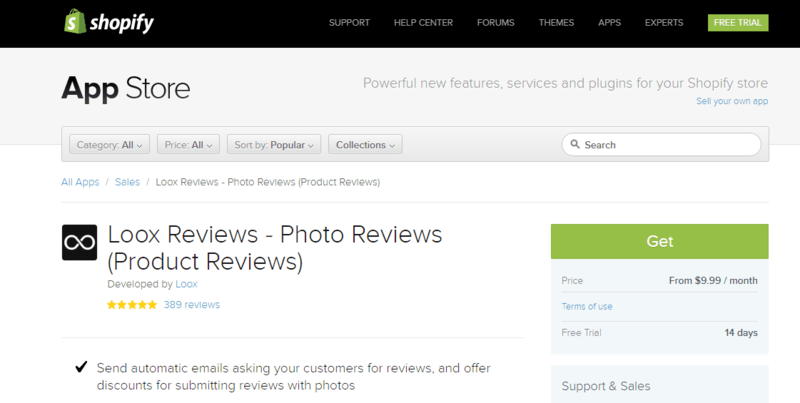 Give trust to your visitor by featuring a photo review of the product image. This makes the visitor relate the product or judge the product. As visual content speaks more than text content, Loox Reviews increases your conversion rate here. 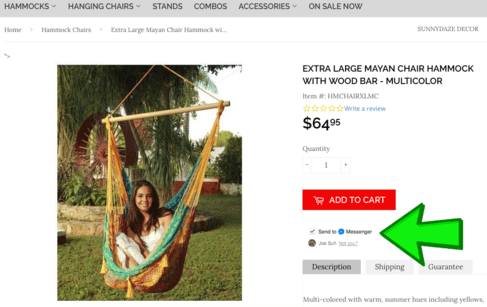 Showcase your happy customers on product pages. Display reviews and ratings on Google Search results. Also, display all your reviews on a dedicated review page. United States & your target audiences are from other countries like Denmark, Singapore etc, BEST Currency Converter plays a major role here. Beautifully designed & Supports Every Currencies. Free for Lifetime. Add Up to 5 Currencies. With Auto Currency Switcher option enabled if your customer is from Brazil the default currency of your store will automatically switch to Brazilian Real. This feature helps worldwide marketing and gives the visitor a native store feel. 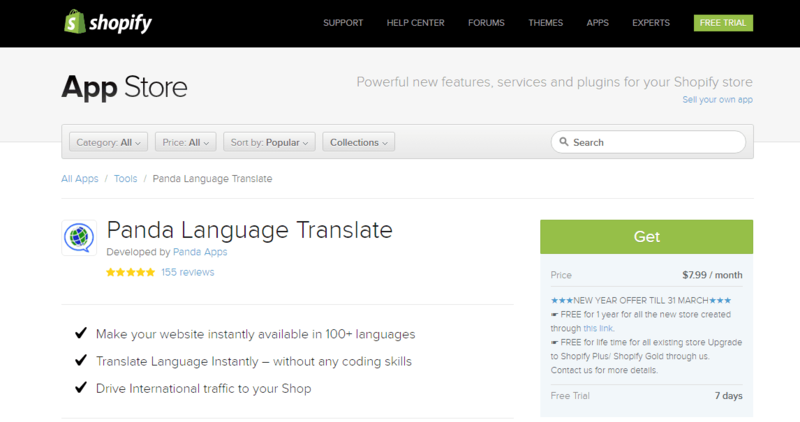 Turn your website into multilingual site without coding skills. Panda Language Translate is one of the best apps which is very much necessary for a store having international operations. Available up-to 100 Languages. No Coding Skill Required. Language Selector is available to select languages manually. I would recommend 100% to use Ultimate Special Offers app for increasing your conversion rate if your have any seasonal discounts or BOGO Offers. Give Discounts to your customer based on the quantity, spent amount, bundle or give them a free gift with this app. Offer Discount for Buy One Get One, Complimentary Gift for Bulk Purchases etc. Tremendously Increase your AOV ( Average Order Value ) with this app. Bundle your item and sell with a heavy discount. PRO TIP: Make your product price 5X of aliexpress price if you are drop shipping via ali & Run Buy 2 & Get 1 Offer with this app. This will increase your sales for sure but analyse your competitor selling price and the final CPP (Cost Per Purchase) of the product to have a sufficient margin on your sales. Get Real time Notifications of recent sales on your store. This will gradually increase the buying confidence of the visitor. 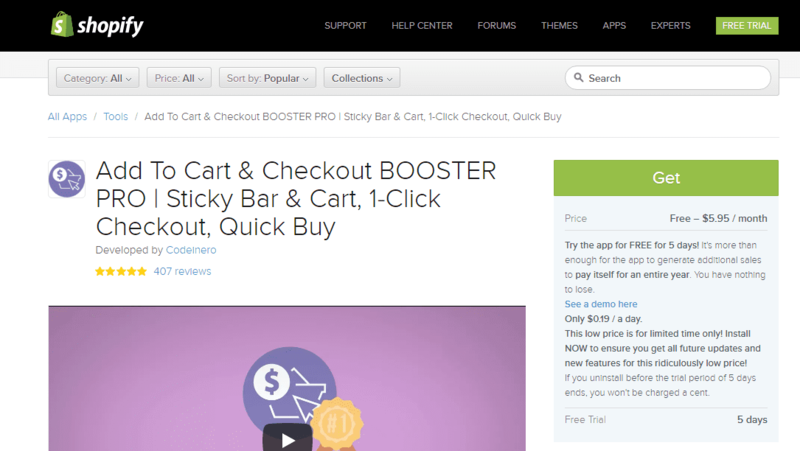 Sales Pop is one of the app which is used by every Shopify stores. Build trust among your visitor with this wonderful app. 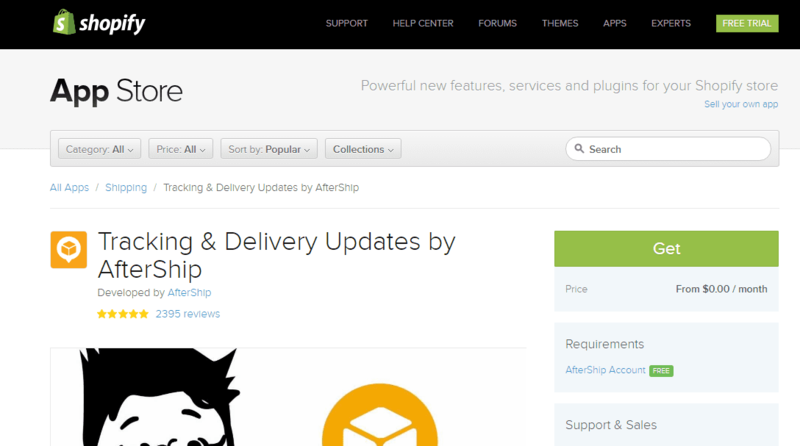 Aftership is one of the top shopify apps for every Shopify store having shipping options enabled. If you are an running an Ecom Store and want to notify your customers about the shipment then Aftership is a must one. More than 380+ Countries supported. Have a separate branded tracking page for your customers to track the shipment. 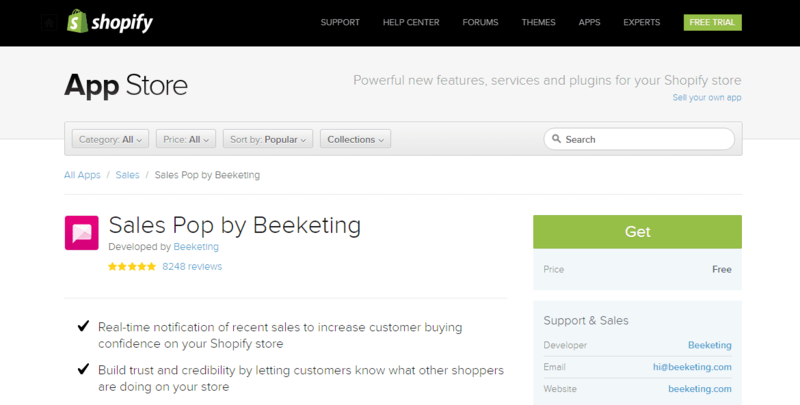 With over 400+ reviews this also one of the top shopify apps. This app enables a sticky add to cart on the Top of the page or Bottom of the Page. Designed in a very mobile friendly manner. 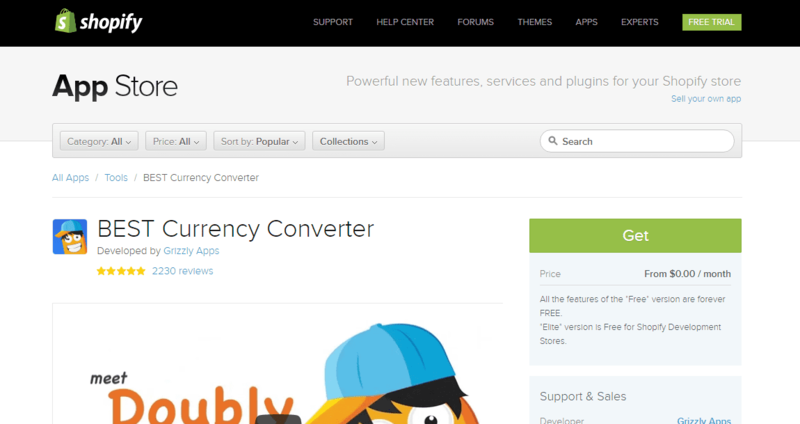 Supports all Shopify themes. Attention Grabbing Add to Cart Button on every featured image of the product on collections page. Email Marketing is a sure thing for every business. 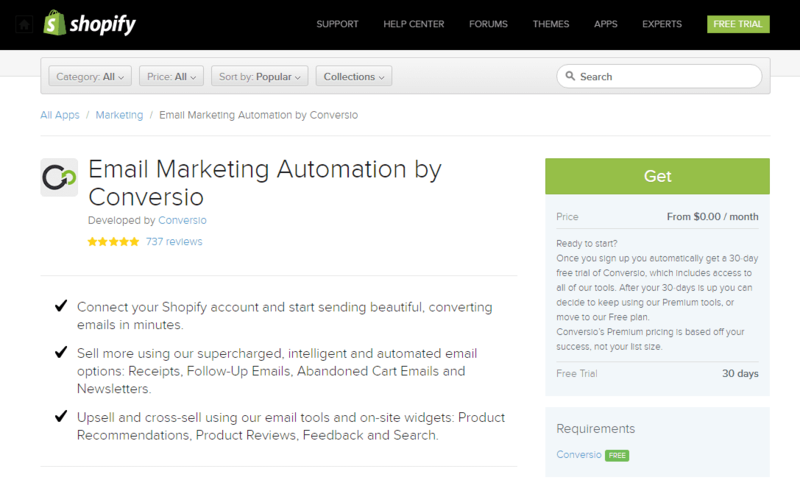 With Conversio create highly converting email template for sale receipts, abandoned carts, email subscribers etc. Send an attracting followup mails in an automated flow with Conversio. Also do upsell and cross-sell via email & send emails asking feedback to your customers. 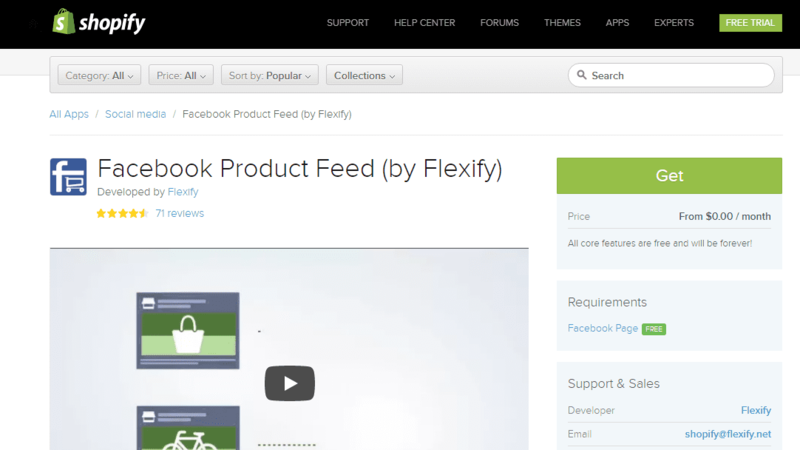 Facebook Product Feed by Flexify is also one of the top shopify apps. As every marketer runs DPA ( Dynamic Prdouct Ads ) campaigns for re-targeting, the basic step is to generate a product feed catalogue. This apps generates an instant Product Feed Catalogue. Connect your store with Facebook and generate sales from your Facebook Page.